The massive size of this formation contrasts with the delicate way in which Balanced Rock is balanced on top of it making it one of the more amazing and most photographed features of the park. 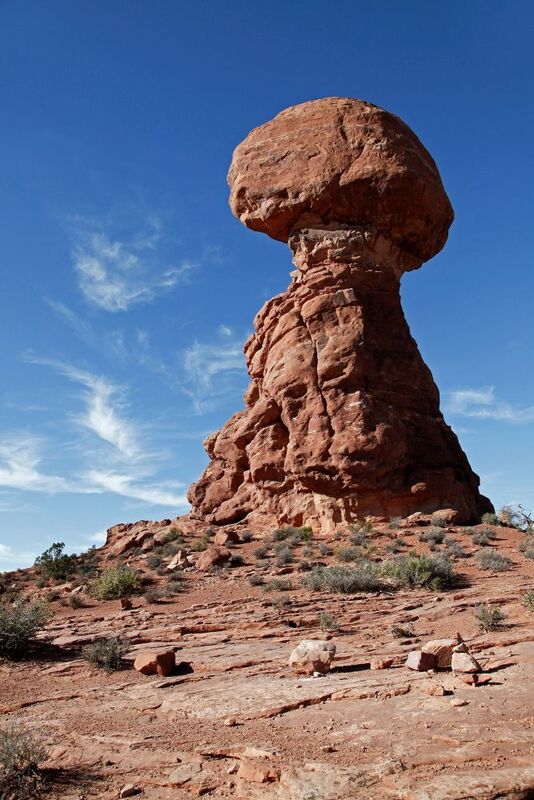 The formation consists of a 50-foot boulder atop a slender 75-foot pedestal. Fortunately, the park management must believe that it is still relatively solid as you can walk right up underneath the rock and see for yourself just how massive it actually is.